Results, ladders and top performers from Day 5 of the 2018 Under-14 Boys Club Championships being held in Kilsyth, Victoria. The Eltham Wildcats will return to the gold medal game at this year's Championships as they aim to defend their title. Facing the Sydney Comets in the Semi-Final, the team they defeated to win last year's gold medal, the Wildcats were highly efficient at the offensive end after quarter-time and raced away for a comfortable 72-27 victory. Sydney kept them quiet in the opening term and it was only a late 4-0 run for the Wildcats that gave them any breathing space at the first break but from that point on the defending Champs kicked into gear as they scored the first 21 points of the second quarter. 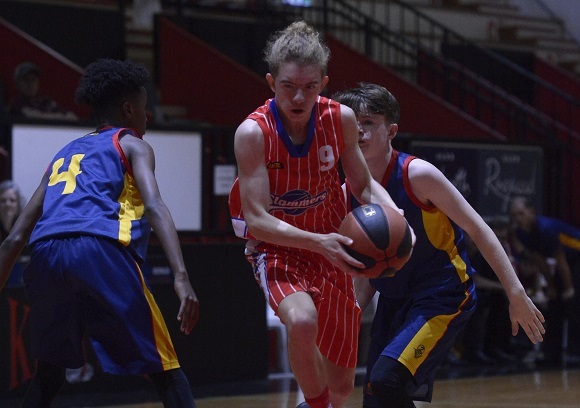 Having not competed at this tournament since 2014, the Nunawading Spectres are making the most of their return and have not dropped a game on their way to meeting Eltham in the decider tomorrow. They proved too strong for the Illawarra Hawks, jumping out of the blocks with a 13-2 start before going on to win by 27. 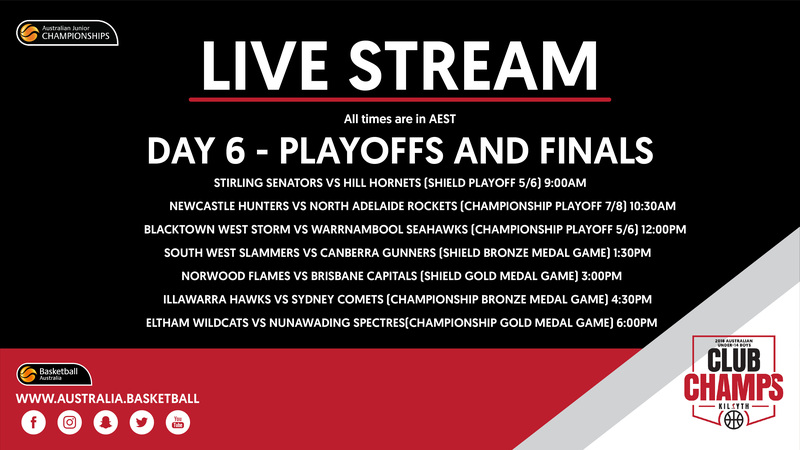 In the Shield gold medal game, the Brisbane Capitals will battle the Norwood Flames with each team searching for their first title while the South West Slammers will take on Canberra Gunners for the Shield bronze medal. The final classification games will also be played out with the likes of Hills Hornets, who pulled away late from Willetton Tigers in an exciting match, and Cairns Marlins who held off a late charge from the Nortern Tas Tigers to succeed by a point, looking to finish their tournaments on a high. Don't forget every game on the main court each day at this year's Championships will be streamed via Kilsyth Basketball's YouTube Channel before the gold medal game is broadcast from 6.00pm on Basketball Australia's Facebook page.